We weren’t dying to live in 300 sqft., but we were willing to sacrifice space to travel and see the United States with the comfort of home right there with us. North America has a lot to explore and experience. Even though we’re traveling full time and trying to take as many sights, parks, and natural wonders as possible we know it’s just a drop in the bucket for what this wonderful continent has to offer. Lucky for us (and for you), we’re willing to give it our best shot and see as much as possible! There have been some incredible stops along the way! Liz and Dennis stop in Idaho Falls to get some RV repairs done. After they arrive, they find out the shop doesn’t have the parts they need. 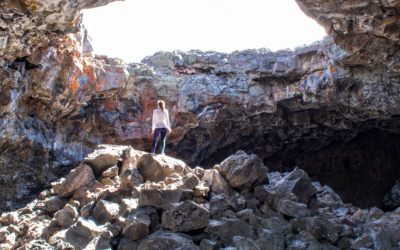 They decide to make the most of the downtime, and head to Craters of the Moon National Monument. They share what they did in their weekend at this great national monument! Liz and Dennis boondock or free camp at a beautiful harvest hosts vineyard in Willamette Valley Oregon. 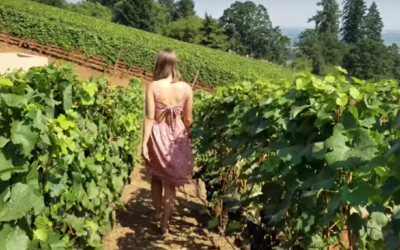 See how amazing full time RV living can be as they camp in a vineyard, do several wine tastings, visit a farmhouse brewery, and even see a private art installation! Liz and Dennis spend 1 day in Seattle, WA. 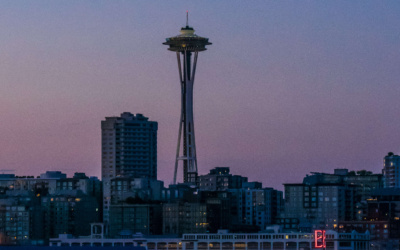 They share what they did, saw, ate, and drank so you can make the most of a day in the city. Liz and Dennis of Eat See RV visited Glacier National Park. 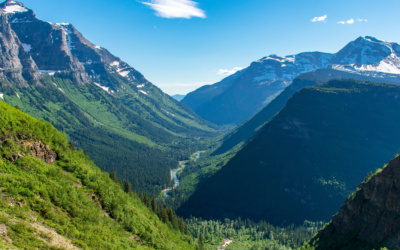 Accompanied by their sister, brother-in-law, and niece they set out to see wildlife, hike the mountains, admire glaciers, and smell the wild flowers. While the weather wasn’t on their side, they still made the most of visiting Glacier National Park! In this blog post and video, Liz and Dennis share their adventures as they full time RV, this time visiting Banff National Park. 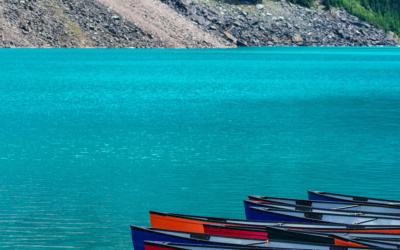 See some of the magnificent glaciers, abundant waterfalls, and colorful glacial lakes (Lake Moraine and Lake Louise) Banff National Park has to offer! Liz and Dennis visit Yellowstone National Park for the very first time! They share the top things to do in Yellowstone in their video and post. 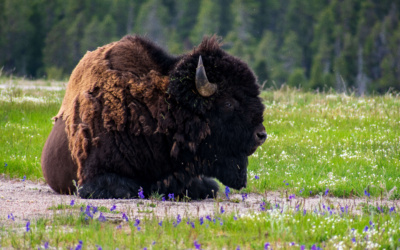 If you’re planning a trip to Yellowstone you won’t want to miss this post!